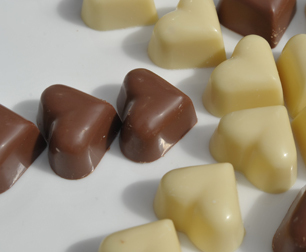 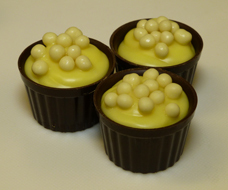 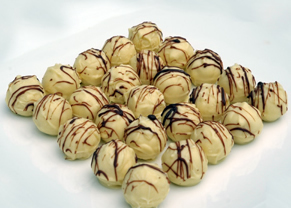 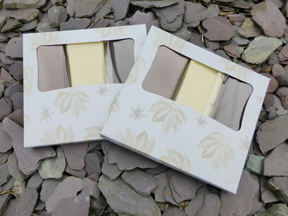 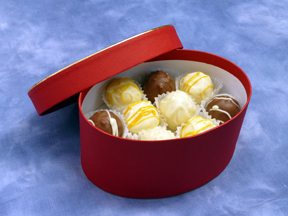 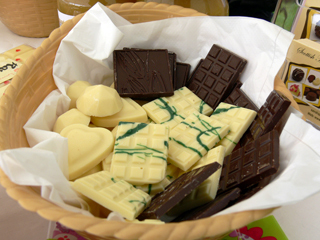 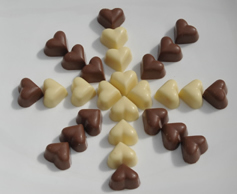 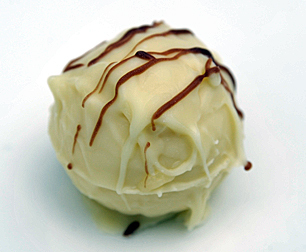 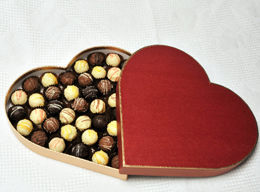 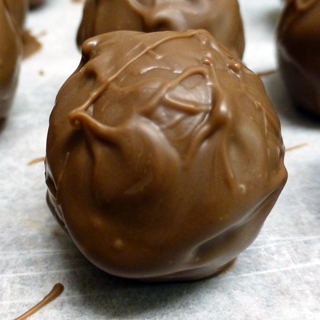 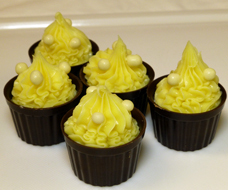 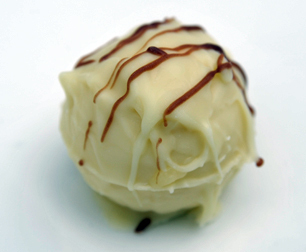 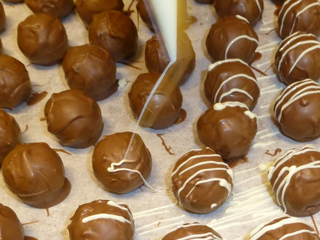 White Chocolate Truffles with either Champagne or Strawberry ganache fillings!. 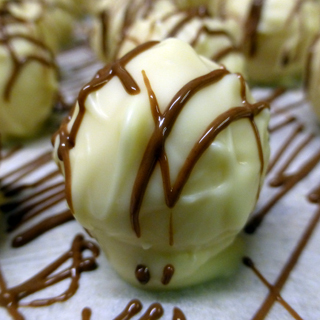 Lush!!! 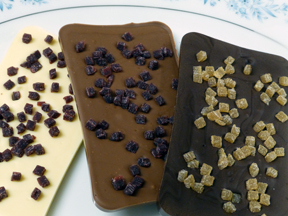 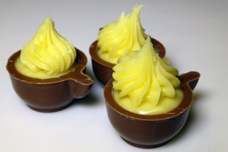 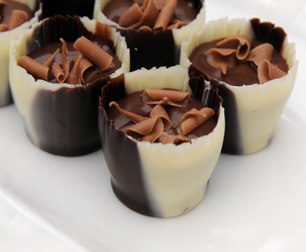 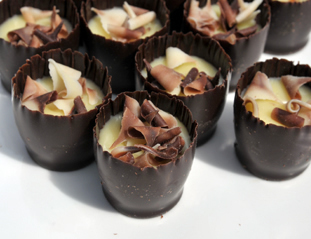 Plain Chocolate cups with two mouth watering fillings, and topped with mixed Chocolate Curls. 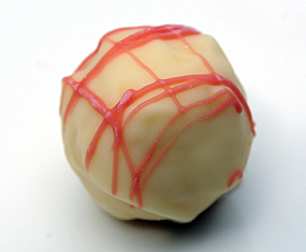 Also delicious with a Mint Fondant on its own..